PowerShell: Beginner. Step up your IT pro game with foundational knowledge of PowerShell. Learn to use the command line to solve an issue, automate your infrastructure, and more. 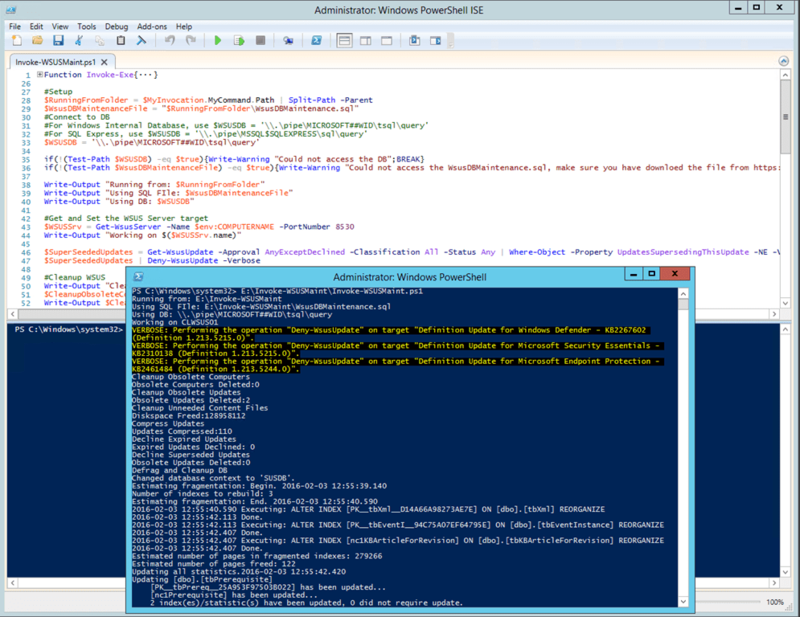 PowerShell: Advanced. Go beyond the basics with scripting, reusable tools, and cmdlets—all taught by the architect and inventor of PowerShell, Jeffrey Snover. Security for IT Pros. Beef up your security know-how with practical tips and tricks from the Microsoft security team. DevOps for IT Pros. Your devs need you! Learn more about application performance and support monitoring with Microsoft Azure. Introduction to Windows Server 2012 R2. Command this leading-edge server with tutorials on installation, roles, Microsoft Active Directory, storage, performance management, and maintenance. Windows Server 2012 R2 Security and Identity. Build upon your security knowledge with Windows Server 2016 fundamentals, like Active Directory, basic PKI, and BYOD concepts. Windows Server 2012 R2 Compute. Discover everything you need to know about virtualization and storage with courses on IP address management, server networking, Microsoft Hyper-V, and more. Last week marks the end of support for the legacy synchronization tools which are used to connect on-premises Active Directory to Office 365 and Azure AD. Specifically Windows Azure Active Directory Sync (DirSync) and Azure AD Sync are the tools which are transitioning out of support at this time. Note also that version 1.0 of Azure Active Directory (AAD Connect) is also transitioning of support. The tools were previously marked as depreciated in April 2016. The replacement for the older synchronization tools is Azure Active Directory Connect 1.1. Customers must have this version of AAD Connect deployed. This is the tool which is being actively maintained, and receives updates and fixes. Azure AD will no longer accept communications from the unsupported tools as of December 31st 2017. Someone need to deny all patches that are superseeded, this does not happen automatically. Someone needs to cleanup old content, computers, patches and such, this does not happen automatically. Someone needs to care for the database, this does not happen automatically. you might need to change this in the script. Select HTTP Activation under .NET Framework 4.5 Features in the Server Manager Add Roles and Features wizard. Make the following changes in the file. Note This code sample represents a single text block. The line spacing is used only to emphasize the text changes, which are shown in bold. RVTools is a windows .NET 2.0 application which uses the VI SDK to display information about your virtual machines and ESX hosts. Interacting with VirtualCenter. RVTools is able to list information about VMs, CPU, Memory, Disks, Partitions, Network, Floppy drives, CD drives, Snapshots, VMware tools, Resource pools, Clusters, ESX hosts, HBAs, Nics, Switches, Ports, Distributed Switches, Distributed Ports, Service consoles, VM Kernels, Datastores, Multipath info and health checks. With RVTools you can disconnect the cd-rom or floppy drives from the virtual machines and RVTools is able to update the VMware Tools installed inside each virtual machine to the latest version. on vInfo tab page new fields: Number of supported monitors and Video RAM in KB. on vInfo tab page new field: Config status. on vHost tab page new field: NTPD running state. on vHost tab page new field: Config status. on vCluster tab page new field: Config status. on vDatastore tab page new field: Config status. bug fix: msi installer sometimes installs RVTools in root of c:\ drive. This is solved now.